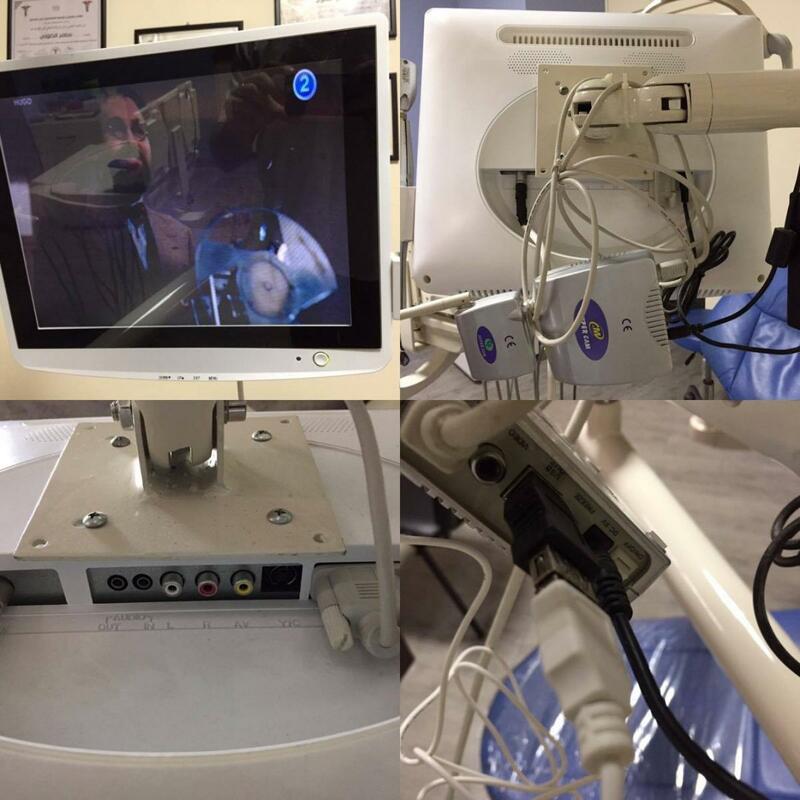 Anyway, I am a dentist and I had a wireless intraoral camera attached to my monitor with its device worked fine until one day it broke. I got another one but its with a USB connection. It works fine with a PC or tablet but Not with a monitor with USB input. I tried it on my home tv it lights but says the device is not supported. Now my dental monitor does not have a usb input and I tried to connect the intraoral camera with a convertor to the old device that was with the first wireless camera but it didn't work. And I'm looking online for some device to support it to work for a monitor but to no avail..
Can anyone help to how to make this work??? Make and model of the new camera? and of the old one?